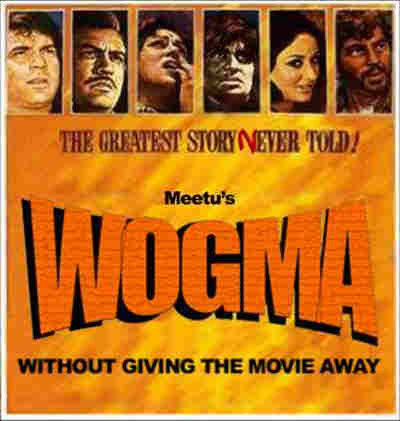 Here’s a fun trailer for my friend Meeta’s movie review website – www.withoutgivingthemovieaway.com (also known as ‘WOGMA’). It’s mainly packed full of reviews of new Hindi movie releases, although it does feature the occasional guest review from yours truly. Anyway, this clip will only be up here for a very short time because of bandwidth issues – so enjoy while it lasts! UPDATE: Have now removed the clip – the image links to WOGMA instead.